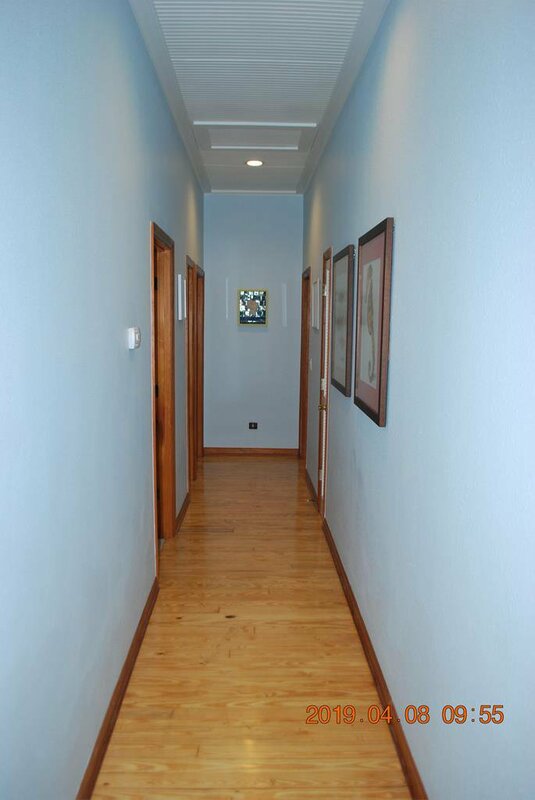 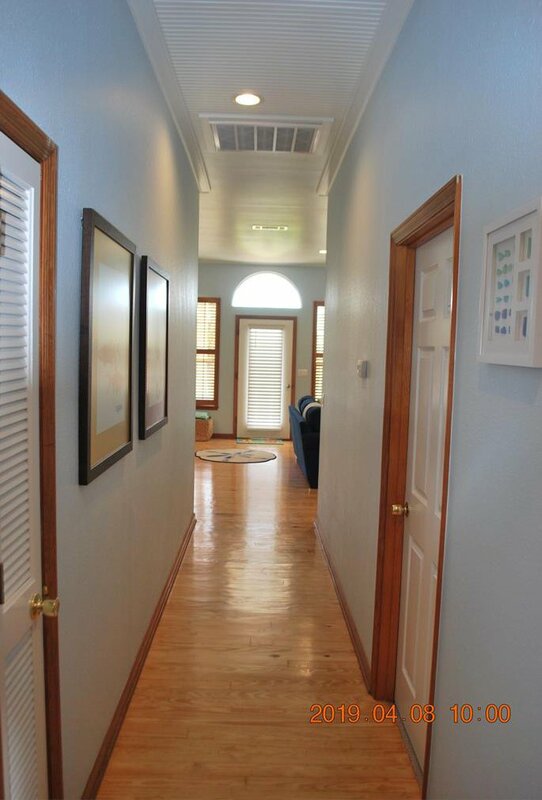 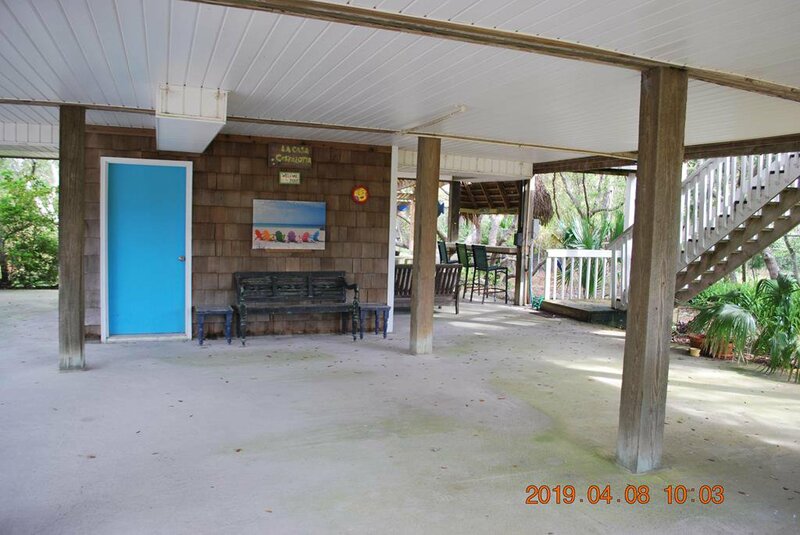 Charming Florida Cottage located in the middle of the island in a very rare X Zone. 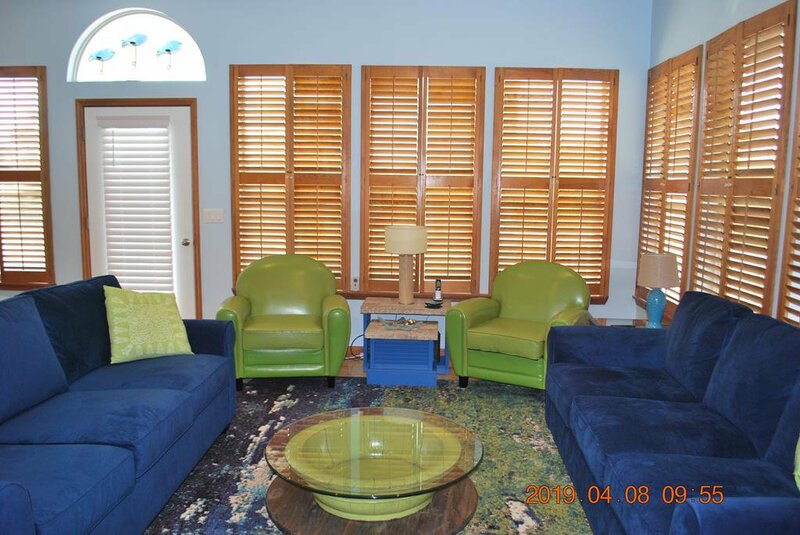 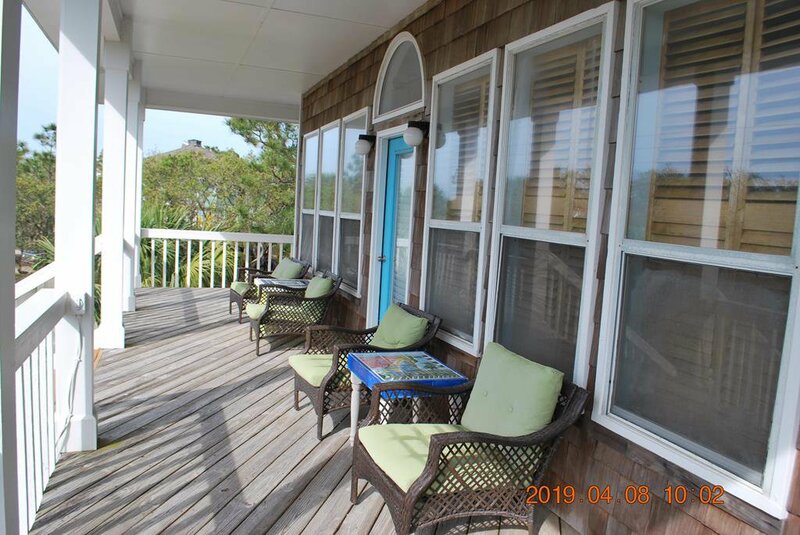 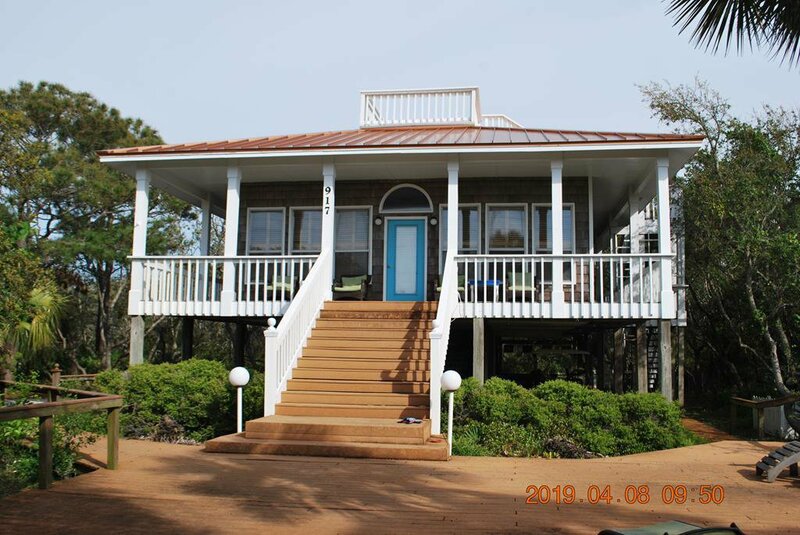 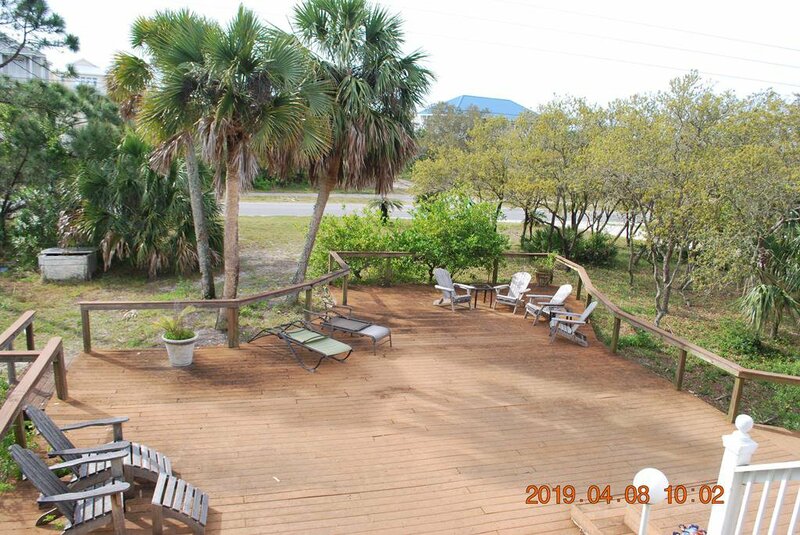 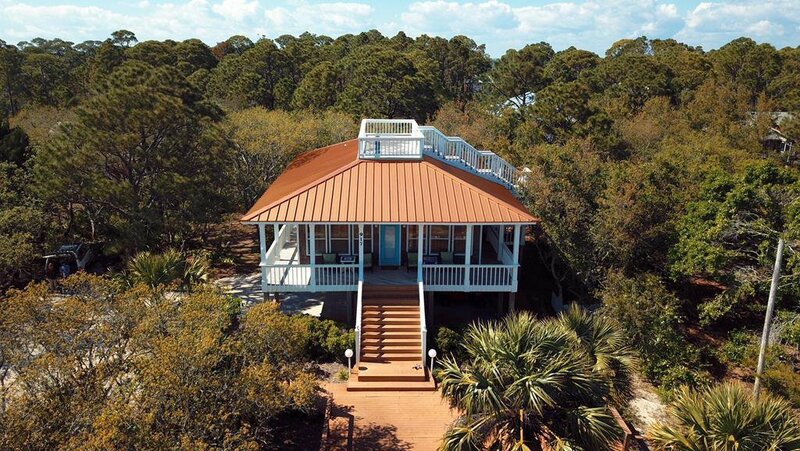 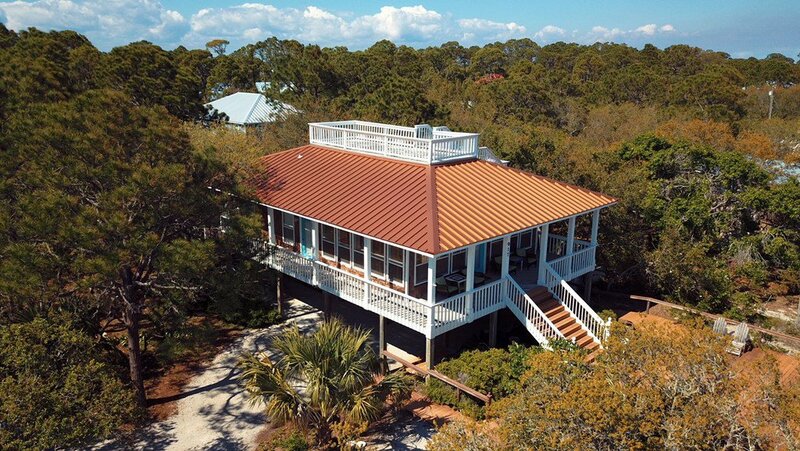 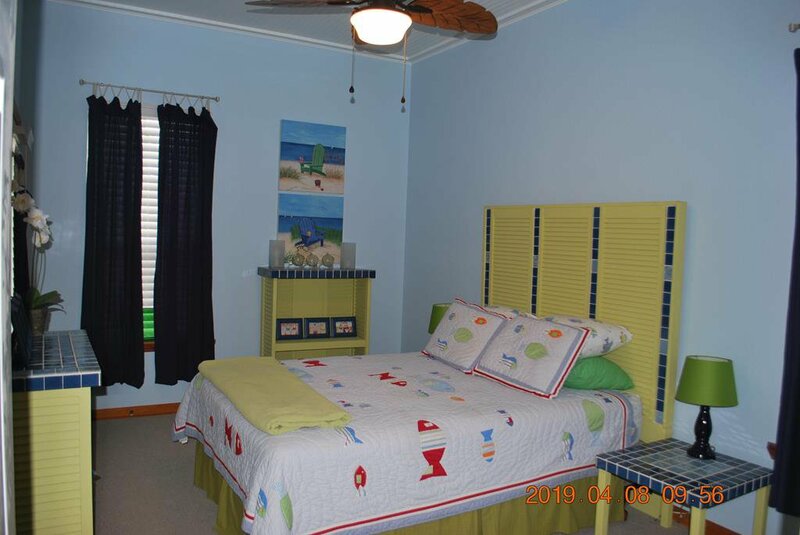 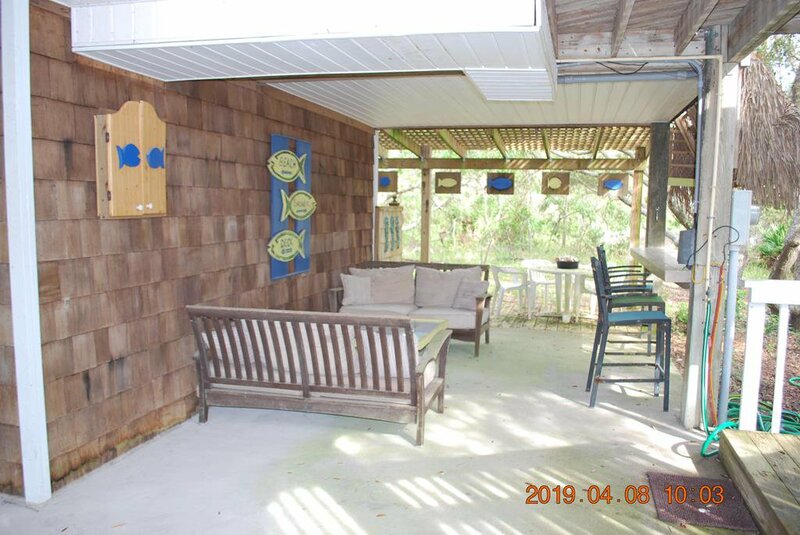 This great beach home is artfully encompassed by the natural live oak trees & native island vegetation, providing you with great privacy even though you're only a short golf-cart ride to all the action St. George Island has to offer. 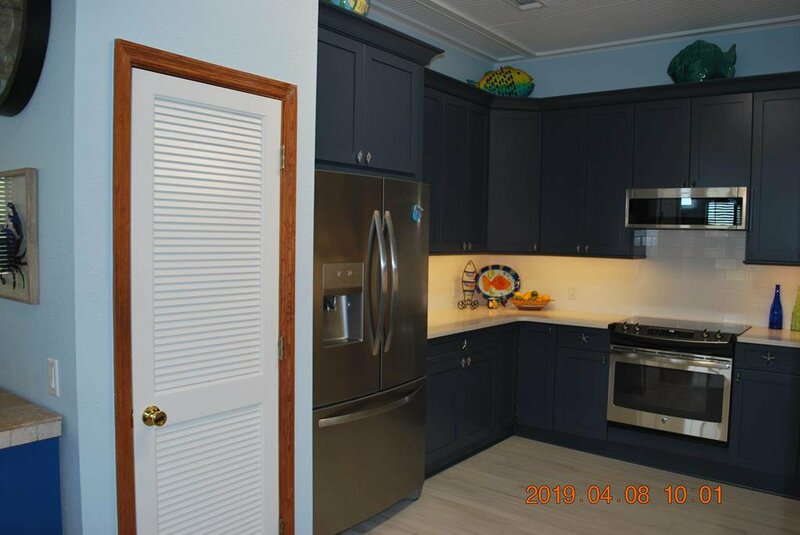 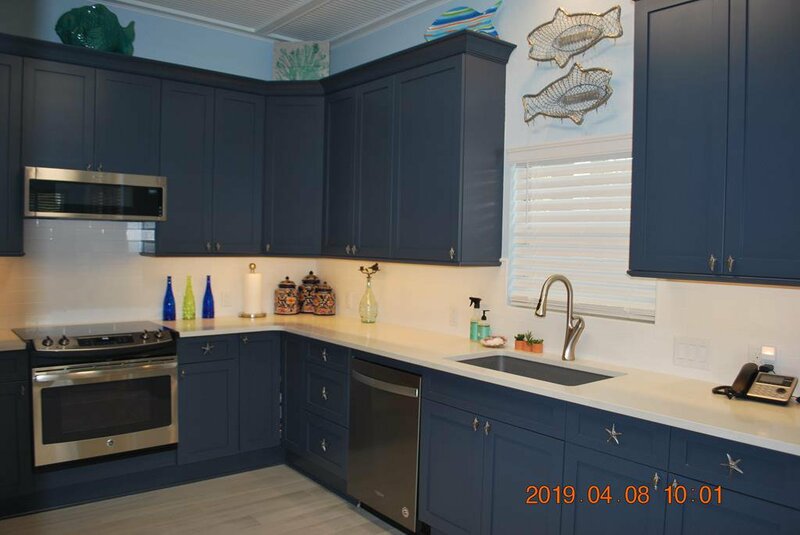 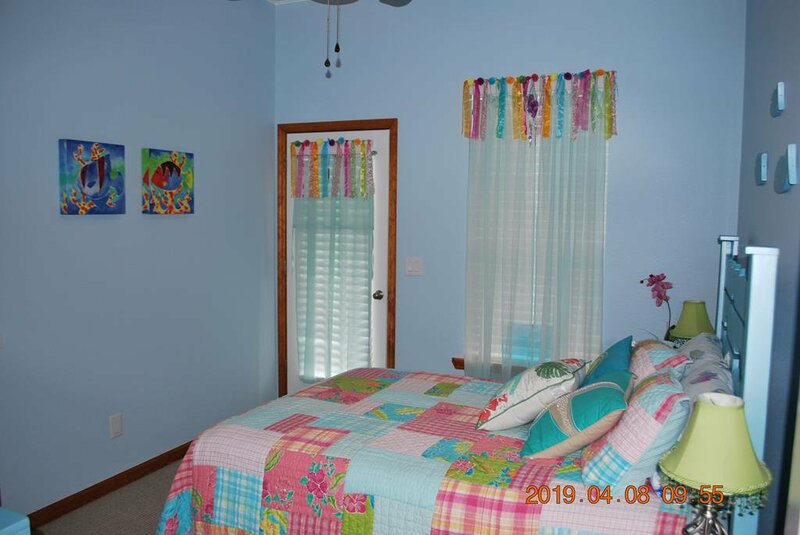 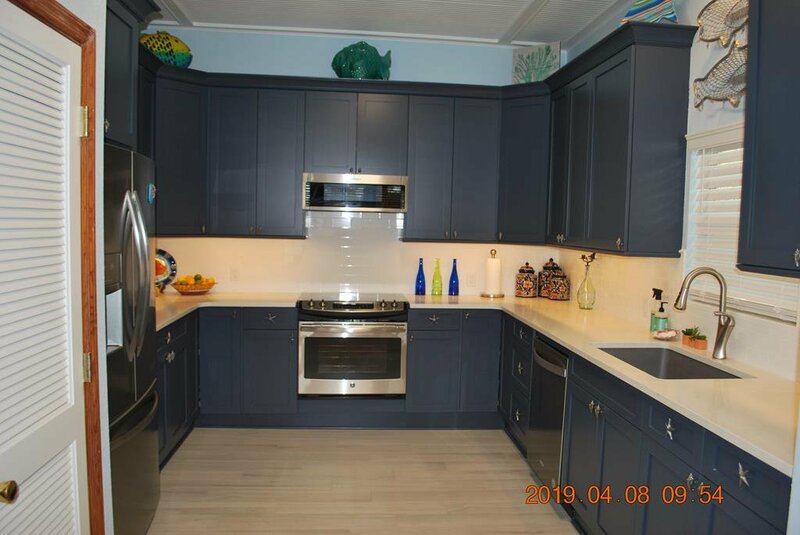 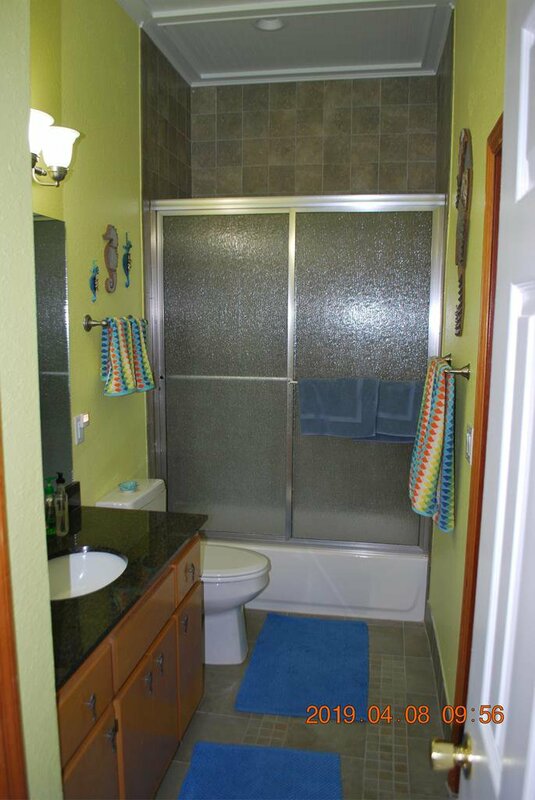 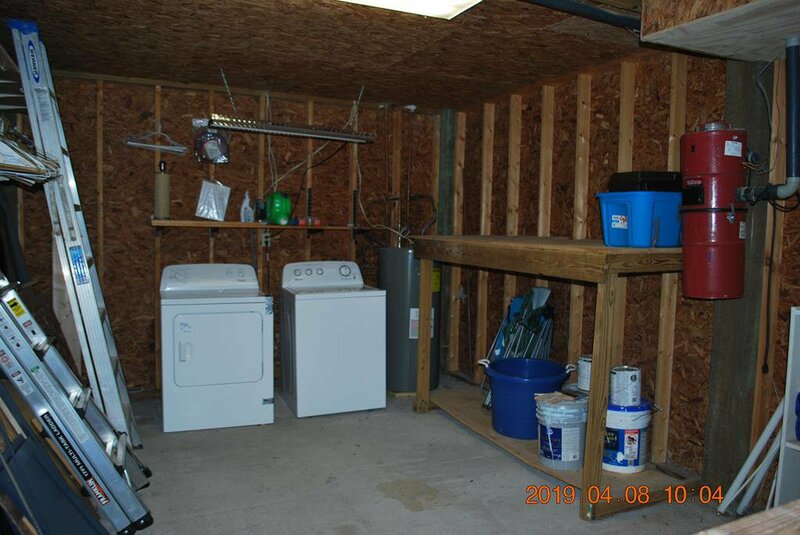 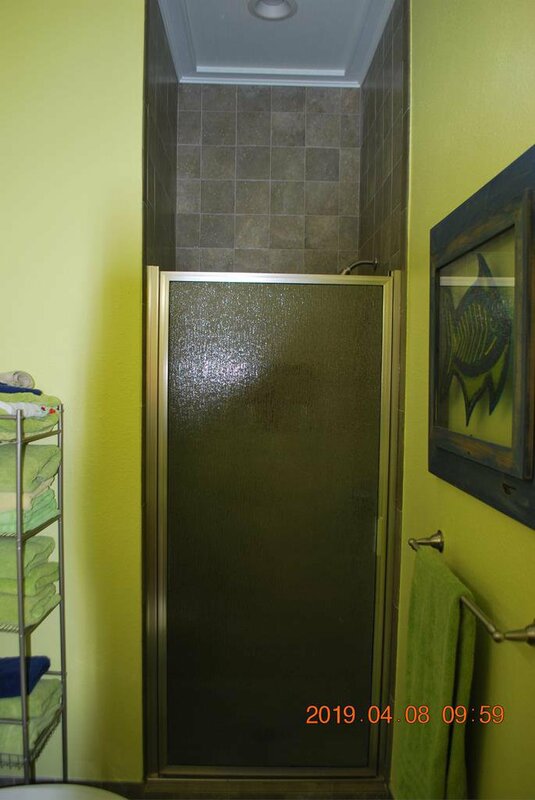 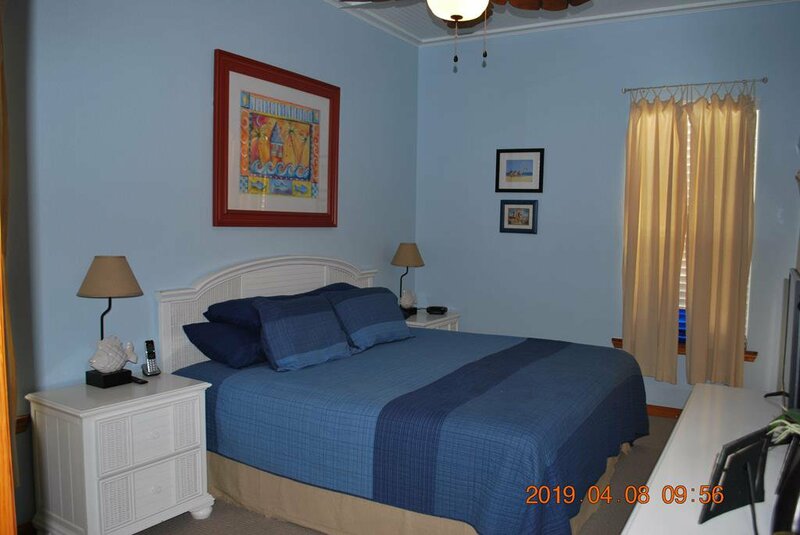 This 3 bedroom/2 bath getaway has been fully renovated (see the complete list of upgrades in the documents) with an entirely new kitchen that includes all new cabinetry, quartz countertops, all new stainless appliances and new tile floors. 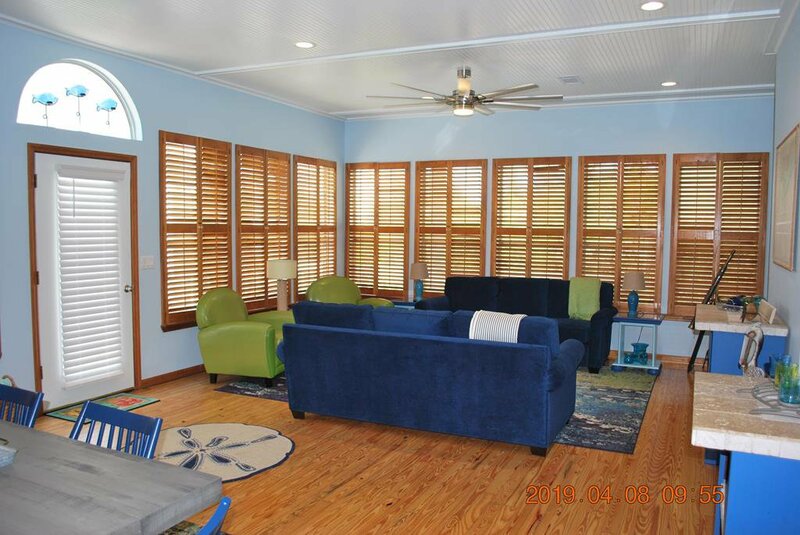 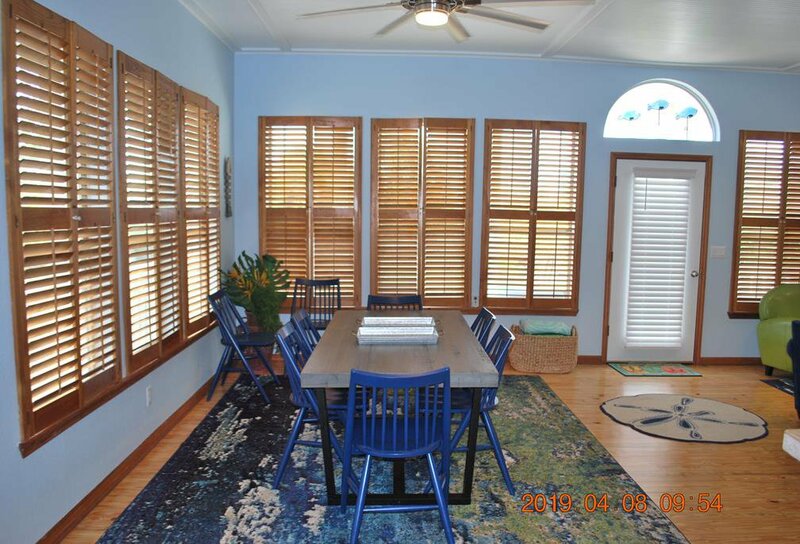 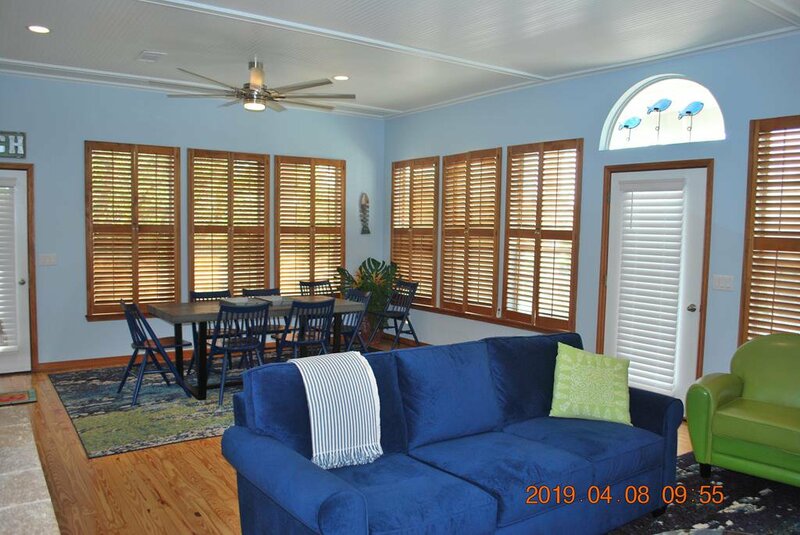 The great room has beautiful newly refinished heart pine floors, plantation shutters, and beadboard ceilings lending to a classic southern coastal cottage feeling. 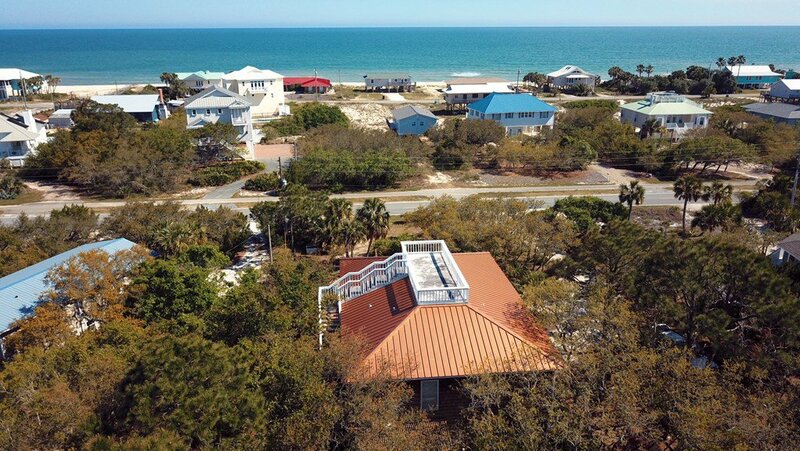 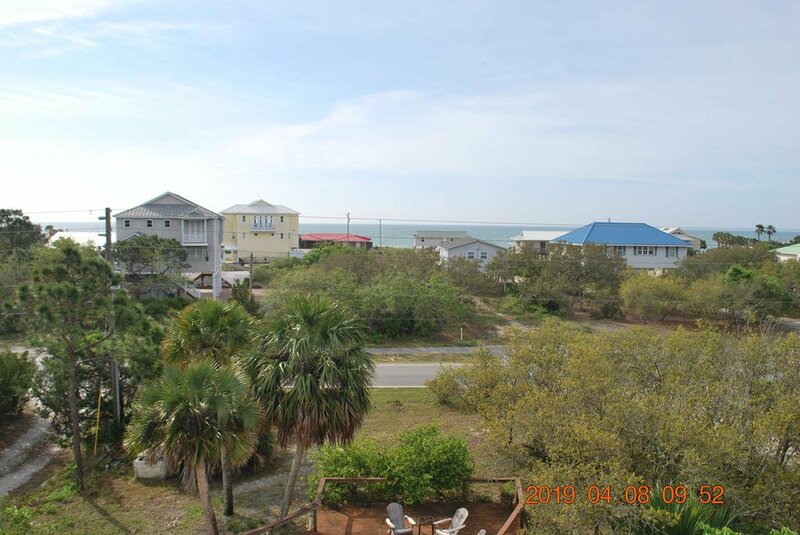 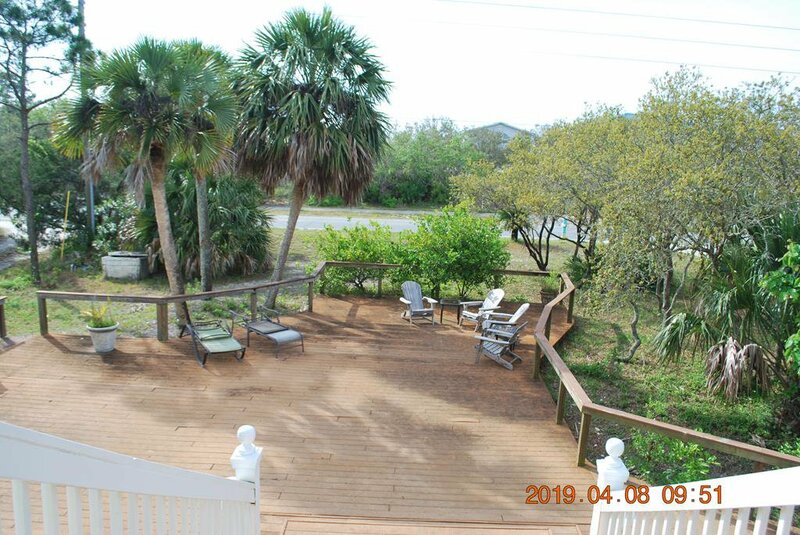 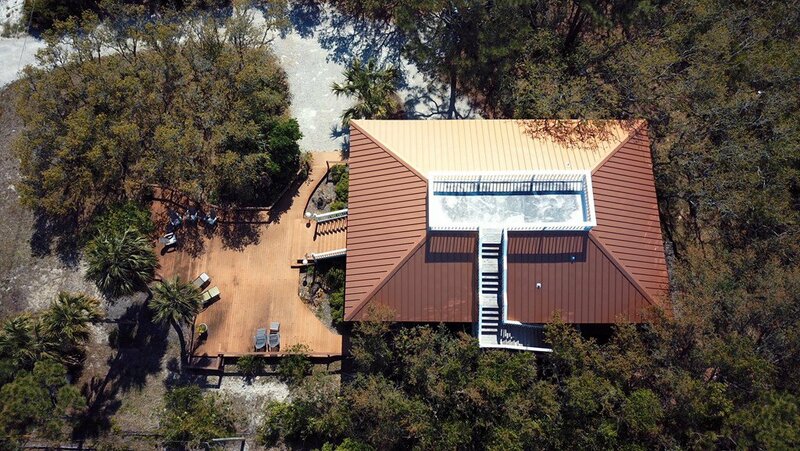 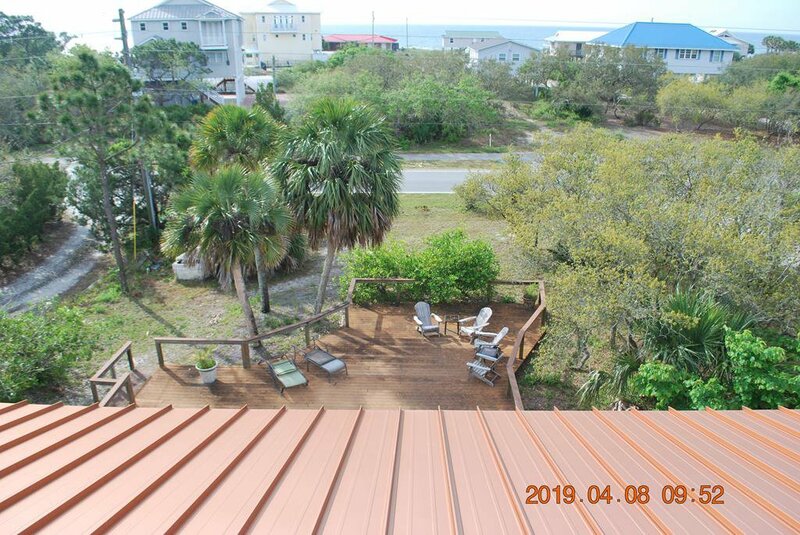 This home has 1800 sq ft of decks, porches, and even a widows walk, for you to enjoy beach living!